Version 0.4.3 is more than 6 years old. It's incompatible with most KeePass databases. Please update ASAP. 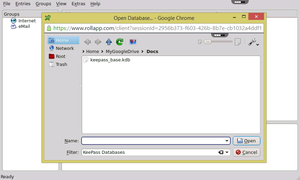 KeePassX is an application for people with extremly high demands on secure personal data management. 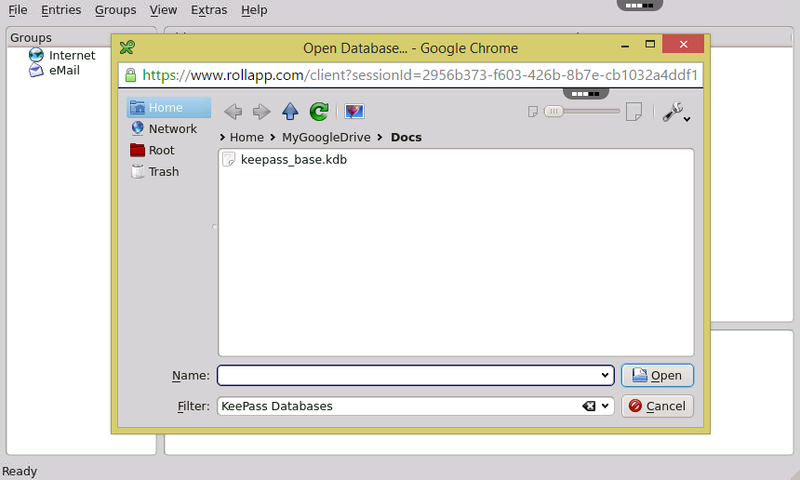 KeePassX saves many different information: user names, passwords, urls, attachments and comments in one single database. The app is the perfect fit for the growing community of Chromebook users as rollApp allows them to securely store passwords in Google Drive (Dropbox and Box are also supported). For a better management user-defined titles and icons can be specified for each single entry. Furthermore the entries are sorted in groups, which are customizable as well. The integrated search function allows to search in a single group or the complete database. The app is grat but it doesn't permit to COPY enything in the Chromebook clipboard! Needs to be upgraded to newest version. There is likely to be security flaws otherwise. Geen idee, hoe veilig het is om rollapp in je database te laten kijken. Wie wel? Good, i like it. 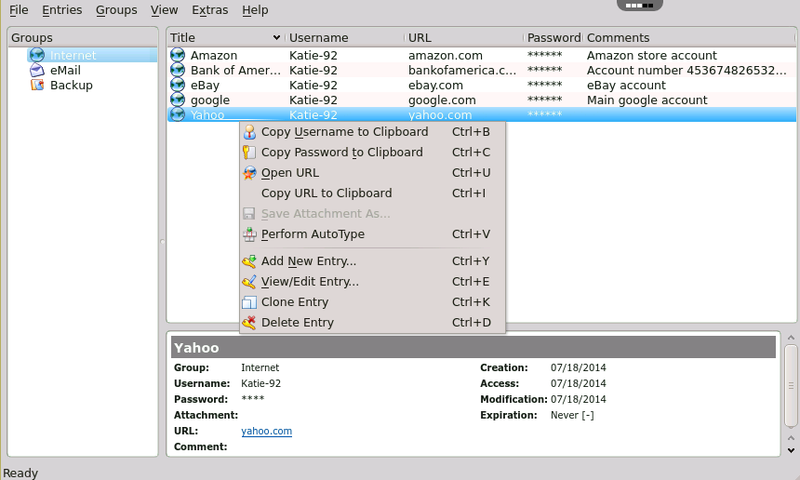 i use password dragon, an offline java app, and this has all the features and available online and connects with cloud.